Tens of thousands of pensioners wrongfully denied their full state pension face a further lengthy delay in receiving their proper weekly payments, the Sunday Independent can reveal. The Government promised pensioners last year that an unfair anomaly in how pensions are calculated - which mostly affected older women - would be rectified by the end of this month. However, the Sunday Independent can reveal that only 3,666 of the 90,000 pensioners affected - less than 4pc - have so far seen an increase in their state pension. This means 86,000 pensioners are still waiting for their full state pension entitlements. Finance Minister Paschal Donohoe previously described the plight of pensioners losing out on thousands of euro under the unfair system as "bonkers and unbelievable". 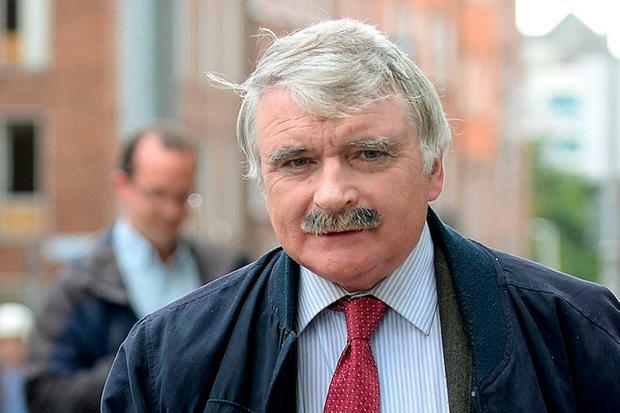 Yesterday, Fianna Fail Social Protection spokesman Willie O'Dea warned some pensioners may die before the Government pays them the pension top-ups, which he said could be worth as much as €80 a week. "Is the Government waiting for these people to die so they don't have to pay them? I would hate to think that is their motivation but that is the impact of all this messing around," he said. Social Protection Minister Regina Doherty hit back by saying she was "disappointed" Mr O'Dea was "politicising" the process after the changes to the pension system were supported by all parties. "I would like to reassure all pensioners involved that all their cases are being examined and will be dealt with as soon as possible," she said. The political row over pensions comes as a new report reveals Ireland spends the least on social welfare for older people in the EU. The Eurostat report found just 3.4pc of Ireland's gross domestic product goes towards social protection for older citizens, while the average across other EU member states is 10pc. Last January, Ms Doherty committed to addressing the state pension cuts and said increased payments would begin in the first three months of this year. A statement on her department's website said: "First payments at these higher rates and any arrears payable from 30th March 2018 will be made in Q1 2019". But this weekend, the minister said: "Given the number of reviews involved, the process is expected to continue for a number of months to complete but my department is committed to doing this with 115 additional staff to specifically carry out the necessary work." Mr O'Dea said the delay in paying the top-ups was "absolutely disgraceful" as pensioners were "clearly led to believe their payments would kick in this month". On January 23 last year, Ms Doherty announced a new 'home caring credit' for pensioners which aimed to reverse changes to how pension payments were calculated since 2012. The Government moved to undo the pension anomaly following a backlash from pensioners who inundated the offices of TDs with demands to fix the system. Pensions are currently calculated using a 'yearly averaging' system, which means it is possible for people to start paying PRSI later in their working life and still qualify for the maximum rate. An anomaly arose where people started work but then took time out. The 2012 system did not take into account a break in a person's employment if they stopped working to raise a family or care for a loved one. The anomaly mostly affected women who worked for a number of years before stopping to raise a family, then returned to work later in life. Some of these women were subjected to the State's marriage bar which was abolished only in 1973. The home-caring credit was made available to people who were not making pension contributions for up to 20 years and it was aimed at making it easier for pensioners to get full pensions. The Department of Social Protection said "legislative and system changes" were required to process the pension reviews and this was completed on February 12. Only after this date did the review of pensions begin. A spokesperson said each of the 90,000 cases requires "close individual examination" and some are more complex than others so it would "not be reasonable to expect all to be processed immediately". This work will take a number of months to complete. "We have always committed to getting the process moving as quickly as possible and our stated intention has always been to have the first payments start issuing by the end of March - which has happened," the spokesperson said.